Bowen Quan, B.F.A. Fashion Design, was born and raised in Qingdao, China. 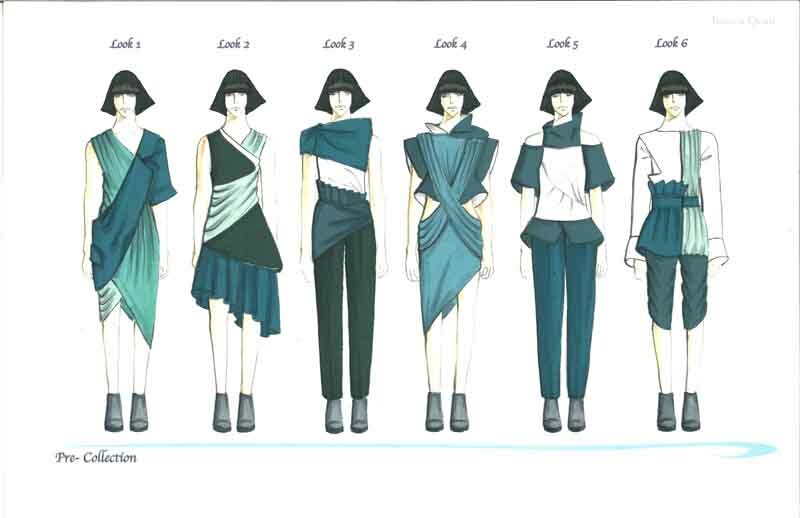 The ocean, which in Chinese culture represents women, mothers, and home, is represented in her designs through the use of blue woven suiting and jersey twisted together to look like the movement of water. Bowen collaborated with Yucen Wavy Tang, M.F.A. Jewelry and Metal Arts, who created jewelry pieces to accompany the garments. Originally from Wuijang, China, before attending Academy of Art University Yucen earned a Bachelors Degree in Architecture from Suchow University of Science and Technology in China. Her work was featured in last the 2013 Academy of Art University Spring Show and was awarded the Director’s Choice Award.